Short description New and unused 16kg lead. Additional information New and unused beaver weight belt including 16kgs of lead (2 x 5kg & 2 x 3kg). 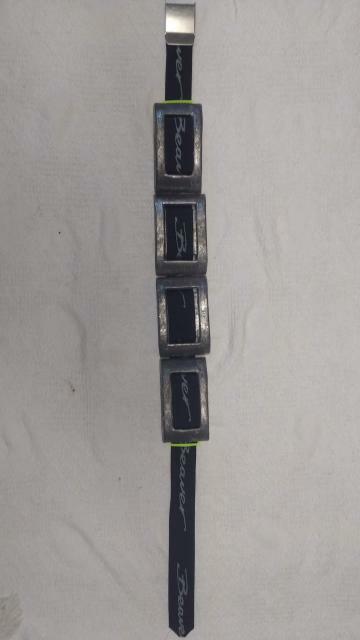 Belt is 1.4m long - size large. Short description: New and unused 16kg lead.